The decision makers at Facebook have discovered that more people use their mobile devices to post photos, write comments, and wish each other happy birthday than from computers. If that’s the case, Facebook wants to produce a smartphone that features their social network up close and personal. 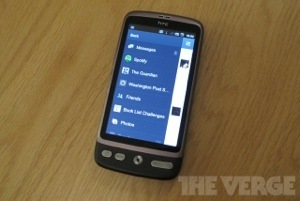 Word has it that Facebook is going to introduce a cell phone made by HTC featuring Google’s Android software. Facebook wants to make sure people stay focused on their social network as much as possible. The more time and clicks on Facebook, the more advertising dollars the company can demand. We are expecting an introduction any day now. This entry was posted in digital, senior lifestyle, tech and tagged facebook by loiswhitman. Bookmark the permalink.